As we head into severe weather season, staying up to date on the latest forecast, watches, and warnings becomes even more important. Most of us want that information at our fingertips, which nowadays means on our phone. 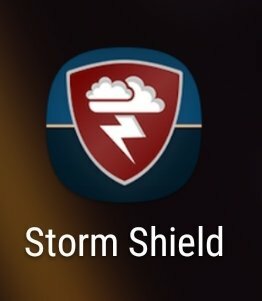 The Storm Shield app is a great way to get all of that information. Whether you're on an iPhone or Android, the app has all of the same capabilities. The free app lets you set a location as "home" but also tracks your current location and can send you alerts for both places when watches and warnings are issued. In addition to watches and warnings, you can use the radar feature to track storms and loop the radar to see how the storms are moving. Not only can you look at satellite and radar data, you can add and change different layers to show temperature, road weather, wind speed, snow cover, and water temperature. Severe weather layers also keep you prepared and informed all year long, as there are winter layers, too. If you decide you want to see lightning data and more detailed storm tracks, you can add those on for $1.50 each month. It's useful for every day weather purposes, too, with current, hourly and daily forecasts. You can also find our latest weather updates in the app. There you can watch our forecast video, read the full weather story, and even stream our newscasts live.